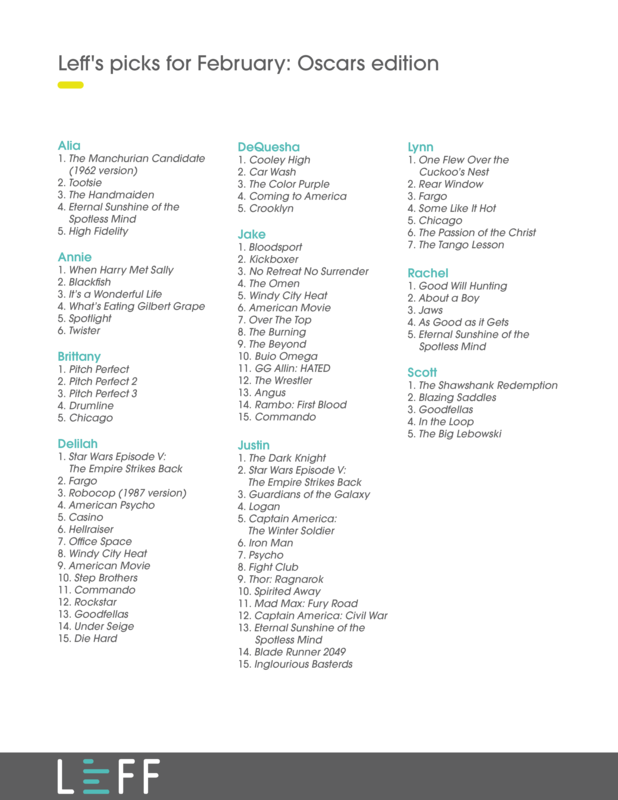 The Academy Awards air on Sunday, which got the Leff team talking about our favorite movies. This special edition of Leff’s monthly staff picks lists our most-loved flicks, giving you a peek into the wide-ranging tastes of our team and hopefully a few ideas for the next time you’re surfing Netflix. Of course, please keep in mind that “favorite” and “good” are not synonymous. Wishing you a happy weekend of binge-watching. Share your favorites with us in the comments!